6House Design has been reliably completing projects and satisfying customers since 2003. During that tiem, 6House Design has started and completed over 200 websites projects along with many graphic design pieces. Want to find out for yourself? Contact any client listed on the portfolio and you will find a satisfied client with an ongoing relationship with 6House. None of our work is contracted to larger firms or oversea developers. Partnering with 6House Design on a project, means that 6House Design will be personally responsible for every aspect of your project. 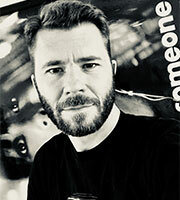 Matthew Griffin is a veteran digital designer with experience extending back to 1999. He has worked independently designing and programming websites since 2002 and has accumulated a long list of satisfied clients and a nomination for one of the most prestigious web design awards in the industry (the SXSW Web Design Award). He looks forward to remaining a local business serving other local businesses in the Boise, Idaho area. Matthew currently lives in Boise, Idaho..
Workflow that comes from years of experience is what you what in a web designer. Matthew has worked on over 200 website as an independent designer and has, in the process, developed a workflow that is thoughtful, simple, and flexible. These 6 principles ensure that the price of every project is firm, the client always knows what stage the project is in, the final product is visually pleasing, and ranks high on search engines. In order to move people, a website has to be engaging. Modern websites should move. The big computer screen is no longer enough. Movement is necessary on every screen size and device. Movement draws in. People make decisions when they are presented with engaging experiences. Call or email to talk about your web project in Boise, Idaho. Reliabilty and fast responses are two indispensable qualities when deciding on a web design firm. That's what you will get with 6House.